This blog has been translated into Chinese, Polish, and Spanish. I had a conversation with a friend who is a psychotherapist and life coach the other day where we compared notes on helping people process their personal issues. “I’m amazed. People are making huge shifts very quickly at this point,” she reported. 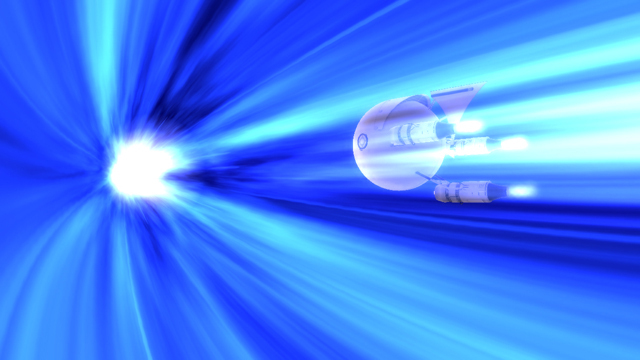 Warp speed! At this juncture on planet Earth, we have the ability to change very fast indeed. Have you learned a processing technique yet? If not, you’re missing the opportunity of a lifetime. You can clear your emotional baggage so quickly at this point. Why suffer any longer than you need to? If you haven’t already, learn a processing technique asap. I’m fond of the Advaita Vedanta method of self-inquiry as taught be Pamela Wilson, Gangaji, and many, many others. For a list of Advaita teachers, click here. I also advocate Inelia Benz’ processing techniques as captured in her Spiritual Ascension 101 Course. Read The Marriage of Spirit by Leslie Temple-Thurston, available through CoreLight.org. It is the bible of duality. If you really want to understand the nature of polarities in a dual system such as our Patriarchy, this is a must read. Leslie’s processing technique, as explained in her book, also appeals to many people. Be sure you understand the mechanics of your processing technique. I evolved my technique by exploring the work of Leslie, Pamela, and Gangaji. And, I also brought my mystical training to bear on eradicating my emotional baggage. Mystics understand the mechanics of energy. I transferred this skill onto my processing in order to understand the mechanics of perception. It’s one thing to sit in the presence of a teacher, feel high in their aura, and listen to others process. But what happens when you return home? You’ve still got your emotional baggage to deal with. So I advocate really understanding the mechanics of the processing method you use so you can catch every process that arises when you’re triggered and set to work on it immediately. Break the habit of resisting uncomfortable emotions, turning your back on them, and running away. Form a new habit: Turn and meet the emotion, then welcome and embrace it in order to bring it to rest. The only way I know to break an old habit and form a new one is repetition—sitting with a processing teacher or working with a group that does processing, and observing, again and again, people welcoming their issues. After some time, with practice, it becomes natural. Then you don’t need the teacher anymore. You can learn a processing method now in record time. You can clear your emotional baggage at warp speed. Please–I urge you–don’t wait on this. We have a year and a half before the energies of the planet start to solidify and the energetic foundation of the new world locks into place. After that, things will not be as fluid. Right now, the Earth’s energy is cycling up. Catch it. Use it. Use it to clear your emotional baggage. The more baggage you clear, the freer you become. Don’t miss out. Now is the time to dance with duality and become free. What Are You Focusing Your Attention On? Steady as She Goes – Update #2 – All hands on deck! Are You Ready to Take Back the Planet? Are you game for a boost in your evolution? How to Answer Your Own Questions. The Training Wheels are Off! Is the Experiment in Consciousness Passé? What is a Past-Life Linchpin? Is Fear Running Your Life? Are We Leaving Our Men Behind?